You are at: Home / Agora / What next Greece? (1) Will Syriza win with an overall majority? (2) Will a new programme be agreed in time? (3) To what extent will it stay on track? (4) How much additional debt relief and financing will the Troika give to Greece, and in what circumstances? (5) If and when the wheels come off the programme, is an exit inevitable? Would it be managed or chaotic? One thing we can be sure about though. 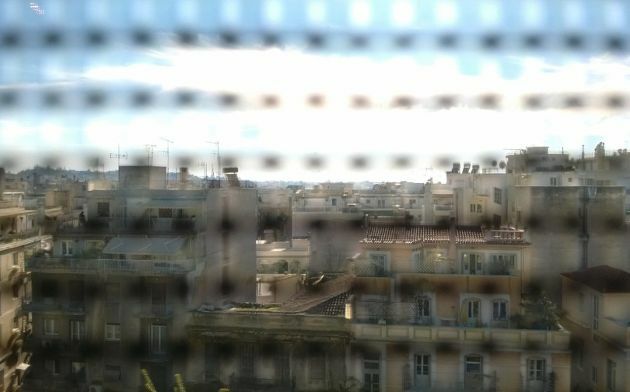 The scene is set for a political showdown, the likes of which the Euro-crisis has not yet seen. Massive convergence in the positions of Syriza, the Eurozone authorities and the IMF are required to secure agreement from the clasp of brinksmanship. Much of the problem comes down to the inescapable fact that the Troika’s Greek programme has never set out to decisively restore debt sustainability. It was in theory possible for that approach to work. 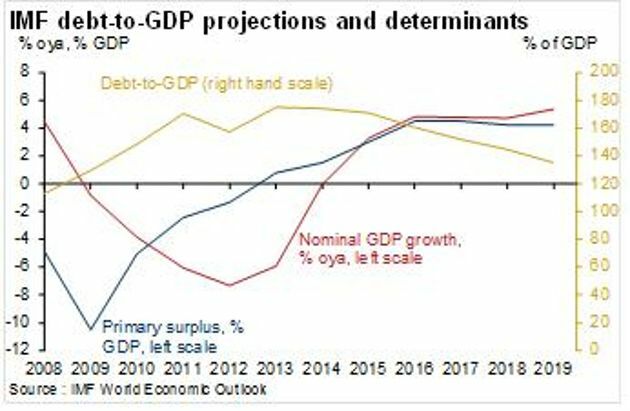 With a primary surplus averaging 4.4% in 2016-19 and nominal GDP growth averaging 5% (and with low interest rates on Eurozone loans), the debt-to-GDP ratio falls rapidly from 2016. Good on paper, bad in Greece. An appropriate definition of debt sustainability should incorporate the political context, and there has never been a political constituency to support the austerity required to deliver the Troika’s baseline. Each IMF review is accompanied by a list of risks as long as your arm. It is a deeply flawed approach as the likelihood of risks materialising is inappropriately high. Indeed, the Troika have used debt unsustainability as a policy lever to force relentless austerity. Perhaps understandable given how difficult it has been to enforce conditionality, but nevertheless very risky. By remaining under-sensitive to the political context, the Troika could be regarded as having departed radically from the traditional approach towards restoring debt sustainability, which recognises that debt can only be viewed as sustainable to the extent the domestic political constituency for such adjustment remains intact. Making debt clearly sustainable provides upside potential to investors, helps build a political constituency for painful reforms, and removes uncertainty. As debt sustainability was never properly achieved the Greek programme has always been a “risk-materialisation” away from going off-track. The three main parties each have their ongoing dilemmas. Greece’s dilemma: The “austerity or exit” dilemma will make governing tenuous for whoever wins the election. Syriza knows the electorate is decisively against euro exit; New Democracy that the electorate is adamant in opposing further increases in the primary surplus towards and beyond 4% of GDP. The Eurozone authorities face a moral hazard-related dilemma: On the one hand, providing further debt relief and new finance to Syriza could be necessary to keep Greece in the Eurozone; it’s only another €10-20bn after all. On the other hand, why should they give even an inch to Syriza that they would not have otherwise given to New Democracy? What kind of message does that send to Portugal and the like? Another two-handed dilemma facing the Eurozone: contagion risks are undoubtedly contained far better than they were in 2012, but that does not make them small. Forcing a Greek exit would be attempted via shutting down its banking system, which is inherently unstable for the Eurozone. Imagine if the US could credibly threaten North Korea or Iran that its banks would be closed. There would be no question of ever needing to discuss sanctions, or even military options. It would be Europe’s disgrace. The IMF’s dilemma: Greece’s debt presents little room for negotiation. Even if the Eurozone were to provide new lending, it would result in a deterioration in the debt trajectory that would need to be offset with considerable further debt relief. Since it is not IMF debt relief being provided, the Fund is not in a particularly strong bargaining position. But they will no doubt try to walk the line between Syriza and the Eurozone, trying not to compromise the principles of debt sustainability quite as much as they have done with Greece in the recent past. By now we know the unwritten rules of the negotiating game. The Troika appear likely to offer the minimum that is needed to get the Greek government to sign. Hopefully the Troika have a soft-OSI (Official sector debt relief) package that they have been keeping under the table, awaiting the election winner. The good news is that nominal interest rates on much of the debt is floating, and might be floored in a “soft-OSI”. Certainly market rates (to which much of Greece’s official debt is tied) have fallen a long way since the last IMF review in June. Perhaps lower interest rates and some use of HFSF funds will be enough to offer Syriza a slightly lower primary surplus target. The bad news is that nominal GDP is falling, and the chances of hitting program targets have been jeopardised by the election-related malaise and uncertainty. Resolution has to be achieved quickly, however. It could all come to a head within weeks of the election if deposits flee. Eurosystem funding for Greek banks increased by €11bn (20%) in December. Unless there is a clear signal of post-election stability, it becomes rational for depositors to withdraw money as risks of the ECB pulling the plug on Greek banks increase. In Cyprus, there were less than three weeks between the new President being elected and banks being closed, in large part because deposit outflows forced the hand of negotiators. Assuming this hurdle is negotiated, the next big issue will be whether Syriza implements the programme. That will be extremely difficult. Prime Minister Samaras implemented austerity with determination, and considerable organisation skills. It is hard to envisage Syriza being willing or able to produce the same thankless effort. My own view is that new loans and significant new debt relief will be needed before long. So how will it all pan out? I have thought long and hard about many future scenarios. In my most likely scenario, a Syriza-led coalition negotiates a new programme, which goes off track; New Democracy win early elections and avert an exit. I attach a 16% probability to this event sequence. In other words, it is anyone’s intelligent guess. For what it is worth, my own view is that the exit probability is just under 20%. *Gabriel Sterne is the head of global macro investor relations at Oxford Economics. You can follow him at: @GabrielSterne. Unfortunately this overview does not mention one very important question regarding past and future. It is well known that Samaras has not really reorganized the administration. There is a considerable number of civil servants who have not been dismissed (only moved to where?) and still get their salary. Imho the Greek administration can only be reformed by a thorough readjustment and I just can not imagine how any future Greek government could do that. Samaras instead increased overall taxes in a way that really harmed all those with lower incomes and such a fight against the own population can no longer happen. Those antagonisms will much more influence the future than the amount of debt which currently is at such low interest rates that it not at all endangers Greece for the near future. Say, as an example, Greece reforms its public sector further and thereby saves another 2-3 Bil. euros of public spending. How does this relate to the overall picture? What sort of guarantee does it give you that a further reduction of public spending and reformation produces a meaningful outcome for the country? You have allowed Merkel to rob you blind by engineering a collapse of the euro by almost 20% over the last six months and you worry about what Greece will do to the value of your savings if it failed to reform further? Could you please explain the logic behind such a fantastic belief system? Do you actually believe that the eurozone malaise is something that is better understood by the majority? and that minority opinions like my own ought to be rejected based on a % approval rating they draw? And that as long as we follow generally accepted fabricated truths, we are actually going to get through with the new Greek situation? As well as that the first obligation of the a new Greek government is obedience to rules engineered by others and for exogenous own benefit? Are you talking about a certain European dictatorship that I am not aware about? 1. Why did Berlin cause these new elections by ordering Troika to exhibit maxim intransigence leading to predetermined outcomes? 2. Is this another delay tactic towards German incrementalism, obstructionism and minimalism? 3. Doesn't Merkel understand that Syriza is her own creation and that she has succeeded to produce something the Greek civil war never dreamed of? Namely a radical Left government backed up by popular anger the likes of which we have never seen before? 4. Is Berlin so stupid to actually believe that they could pin this one on Greece? that they could actually frame the eurozone disaster as a failure of Greece? 5. Is Berlin run by idiots who actually believe that the free license given to Syriza to bring down the rotten house of cards called the eurozone somehow will not be exercised because of the uber naive belief that we have European "rules" invented by Germans for their own self-interest?